In SIMULIA's Abaqus transfer of computations from 2 CPU cores to 4 CPU cores, the speedup factor was 1.7 times. Transferring these algorithms to CUDA architecture with 448 cores of Nvidia Tesla C2075 sharing 4 CPU cores resulted in an increase of only 3.5 times [Source]. 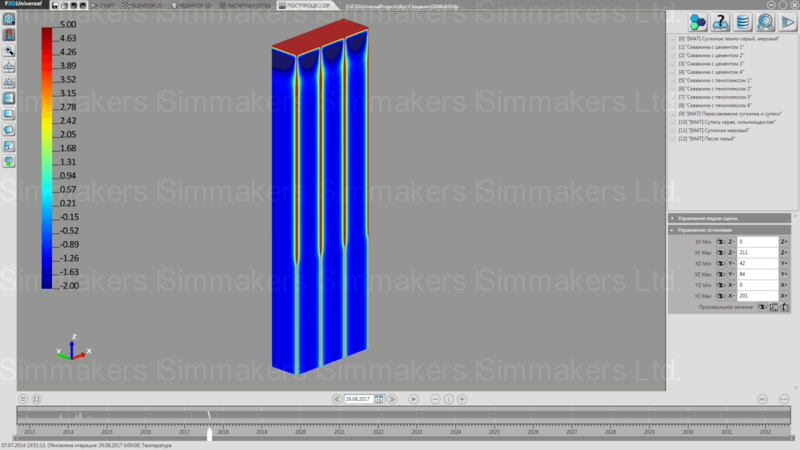 Ansys also achieved parallelization efficiency of algorithms commensurate with Abaqus. 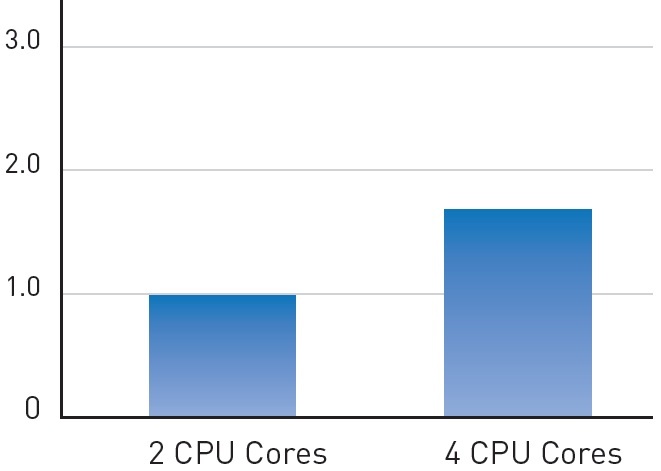 When increasing the number of CPU cores from two to eight, the processing speed of the Ansys Mechanical 15.0 package tripled. 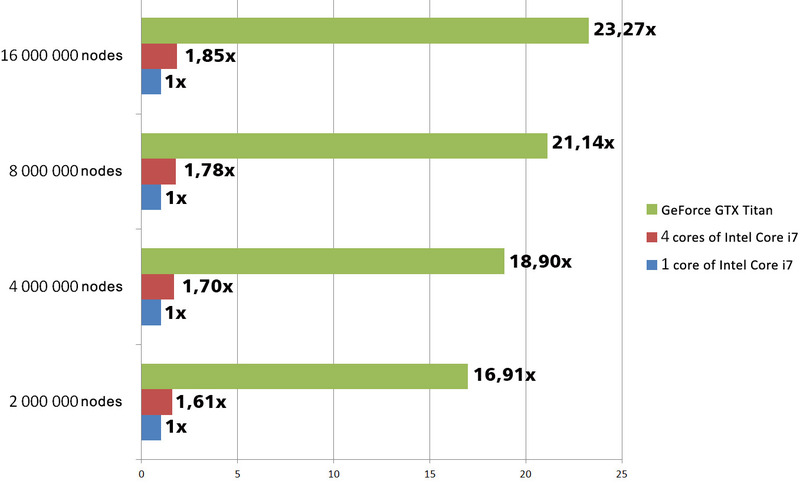 Sharing between 2 CPU cores and the 2880 cores on the Nvidia Tesla K40 video accelerator was 3.5 times faster than the 2 CPU cores alone [Source]. The mathematical solvers embedded in the «Frost 3D Universal» software demonstrate the superior computational algorithm parallelization and use of parallel architecture in terms of efficiency. A computer model of production wells was used to compare the parallel computing speed on CPUs and GPUs. 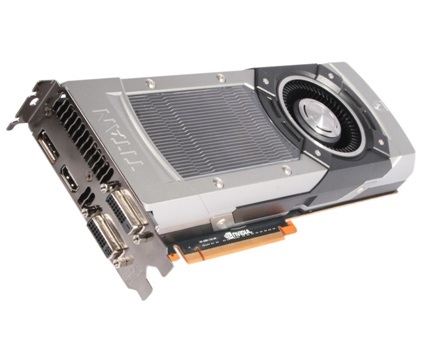 The hardware was selected from widely available user computing resources such as the Intel Core i7 CPU and the Nvidia Titan graphics card. The three-dimensional model was discretized with different spatial steps. As a result, meshes with the following number of nodes were obtained: ~2 million, 4 million, 8 million and 16 million. 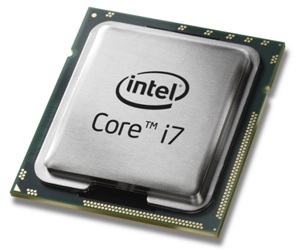 Each computational mesh was computed on 1 core of Intel Core i7, 4 cores of Intel Core i7 and the GeForce GTX Titan video card. Below there are computational results for the two-year simulation forecast. - conformity of thermo-physical properties of materials. It means that the maximum acceleration on parallel architectures could be achieved on the simplest models with a uniform computational mesh and the minimum number of materials and boundary conditions. In practice, however, computational models are more complicated, that’s why our speed analysis was based on the production wells simulation model for more objective results. 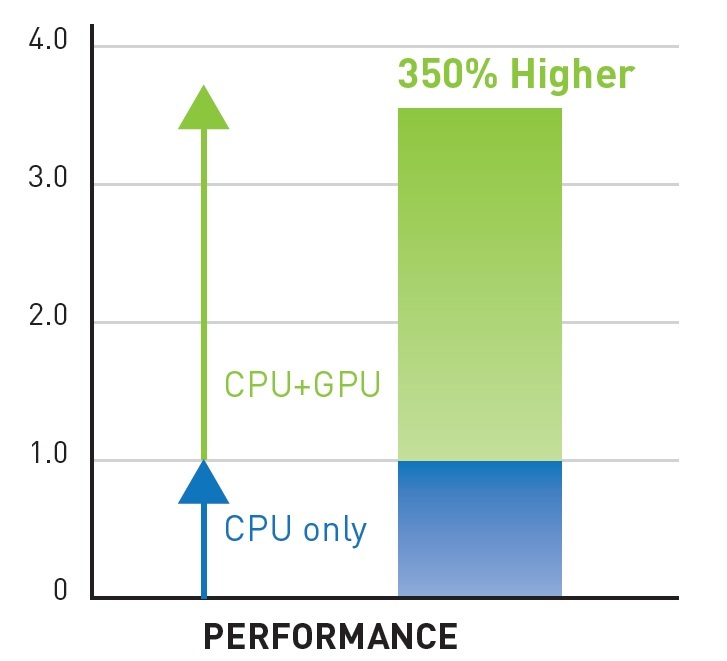 The use of computational algorithms with a low degree of parallelization is inefficient on multi-core processors and video accelerators. The major engineering analysis software packages on the market contain a high degree of serial code, significantly hampering the acceleration potential of parallel computing. This is largely due to the implementation of now dated mathematical solver algorithms, developed when there were no technologies such as CUDA and therefore not designed to take advantage of these parallelization technology enhancements. Mathematical algorithms in the latest generation CAE software are designed basing on parallel processing technology. It allows achieving speedup by a factor of ten by transferring computation from one CPU core to multi-core graphics accelerators. This entry was posted in Frost 3D Universal and tagged comparison of Intel Core i7 and nVidia GTX Titan, computations on Intel Core i7, computations on nvidia gtx titan, computations using cpu, computations using gpu, parallel computation, simulation of thawing around well, thermal analysis, well cluster simulation. Bookmark the permalink.